The quick method here is to take a look at the back or underneath the unit. 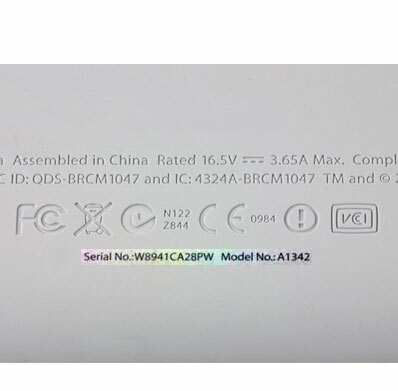 In most cases, it should have a model number starting with the letter A****. 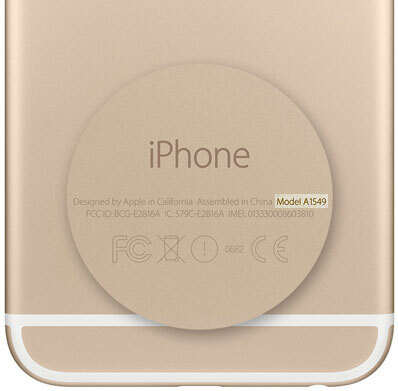 In this case, an A1549 would be an Apple iPhone 6. 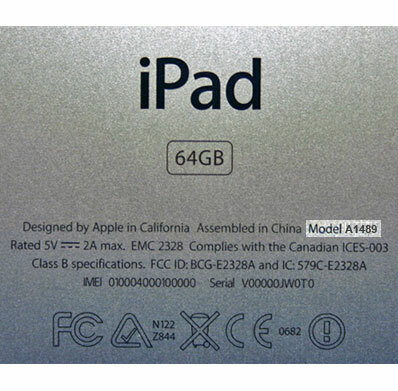 The process is the same for Apple iPads, In this case, an A1489 would be an Apple iPad mini 2. 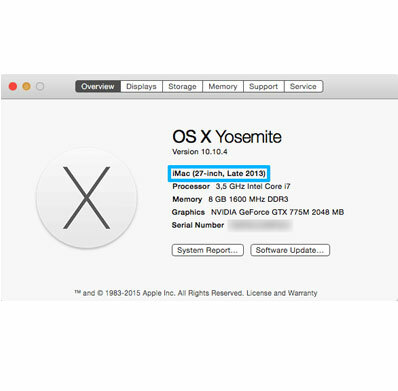 On your iMac and MacBook, go to the Apple menu (upper-left corner) > About this Mac and there you will find all the information you need on the serial number. Take a look at the back or underneath the unit and there should also be the A**** model and serial number.